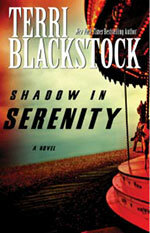 Shadow in Serenity by Terry Blackstock was an enjoyable way for me to pass the hours during a long ride back home from visiting family. This was not what I would call a typical Terry Blackstock book -- not the "stay-up-all-night" suspenseful page turner like so many of her others -- but it was a story well worth my time! "You can't con a con" -- or can you? Logan Brisco smoothly works his way into the small town of Serenity, Texas, endearing himself to practically everyone in town as he lays the groundwork for his biggest con yet. What he doesn't expect, though, is to run into the likes of Carny Sullivan, a free-spirited woman who grew up as the daughter of carnival workers and learned the art of cheating unsuspecting marks. Carny appears to be the only one in town who can see through Logan's facade and tries to warn the friends she has made in her new hometown. Carny sees Logan as a threat to Serenity, and Logan sees Carny as a challenge to his well-honed skills. Will Carny be able to stand strong, or will Logan's scheming win her over? An Amish Wedding is a compilation of three novellas by Beth Wiseman, Kathleen Fuller, and Kelly Long. In A Perfect Secret, Kelly Long introduces Rose and Luke -- a young couple who have known each other all their lives and have been expected by everyone around them to be married some day. Rose begins to have doubts, though, as she realizes how predictable her relationship with Luke is and how much she wishes for excitement. When she encounters the thief who is plaguing her community, she finds her desire for adventure growing stronger and has even more questions about her future with Luke. While Rose looks for answers to her questions, her friend Priscilla runs into problems as she prepares for her own marriage to Chester Lapp. 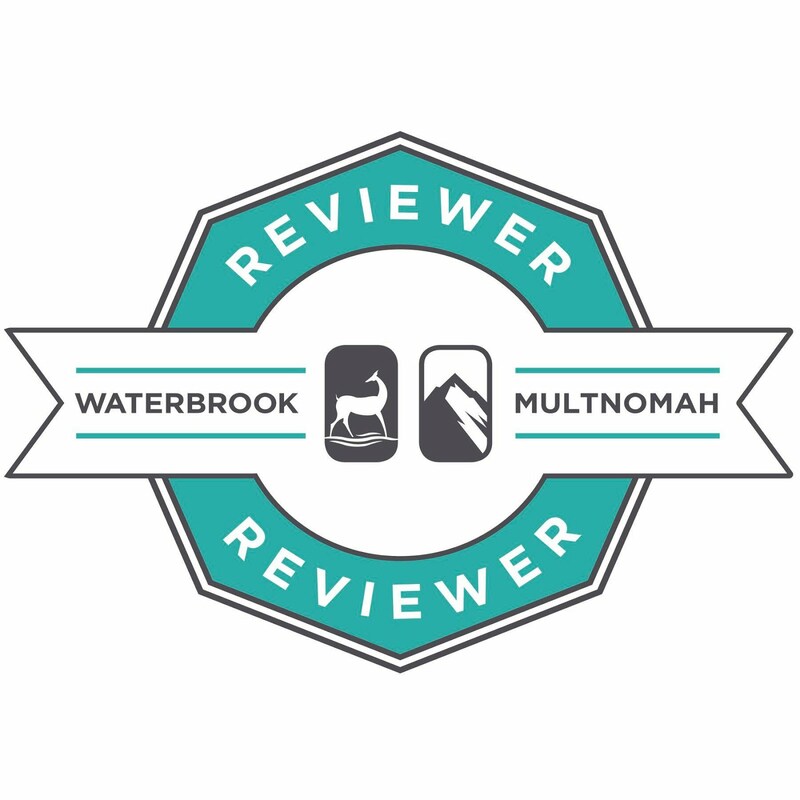 Kathleen Fuller picks up the story of Priscilla's sister Naomi in A Perfect Match. When Chester's cousin Zeke comes to town for Priscilla's and Chester's wedding, Naomi puts her matchmaking skills to work with her friend Margaret. Things don't go as planned, though, and Naomi is surprised to find herself in the middle of a match-up. Still hurting from being abandoned by her first love, Naomi doesn't believe she is ready to trust again. Beth Wiseman pulls the pieces together in A Perfect Plan. As the time approaches for Priscilla's and Chester's wedding, problems continue to grow and threaten to overshadow the love they have for each other. From an unexpected source, they are reminded of the meaning of true love and of God's plan for their lives. Three stories, three authors -- one saga of intertwined lives. 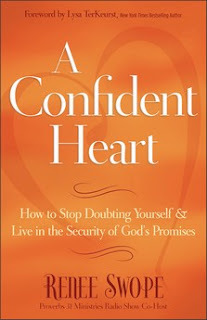 Kelly, Kathleen, and Beth all have their distinctive styles of writing but weave them together in a way that makes for a very enjoyable account of life, love, and faith. Fans of good Amish fiction should definitely enjoy this trio of stories from some of the best! Amy Clipston has a new contest. Click here to enter. Remembering Christmas -- and the things that make it special! 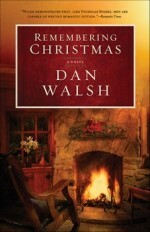 I just finished Dan Walsh's Remembering Christmas, and my reaction was, "What a great book!" This is a beautiful story, full of reminders about what is really important at Christmas . . . and at all other times of the year! Rick Denton is living the life he loves -- good job at a CPA firm, nice condo, good car, good times -- all with no strong personal connections or commitments. A few times a year he makes an obligatory phone call to his mother, but he has pretty much left his home and family behind in his quest to follow his dreams. On the day after Thanksgiving comes a call from his mother that disrupts Rick's good life and fun plans. His stepfather has suffered an aneurysm and is in critical condition. His mother asks him to come help with the Book Nook -- the small Christian bookstore Leanne and Art own. The time between Thanksgiving and Christmas is the busiest season of the year and they can't afford to close the store. Rick reluctantly gives up his ski trip to go to Seabreeze to help his mother out through the weekend. He is uncomfortable dealing with the people connected with the store and is anxious for the crisis to pass so he can get back to his life in Charlotte. As Rick's time in Seabreeze stretches into weeks rather than days, he begins to notice a change in how he feels about his stay and the people around him. Then he stumbles upon some shocking information, and he realizes he may have been wrong about the people and things that are important. Rick's journey through his memories and his priorities was heartwarming and thought provoking. The plot and characters drew me in from the very first page and kept me to the very end. And the big twist in the story was a masterpiece! This is the first book I've read by Dan Walsh, but I'm definitely interested in going back for more. I would recommend this story to anyone interested in being reminded of the things that really matter at Christmas time. 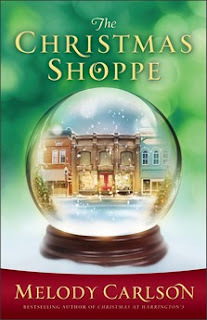 Amy Clipston's last contest before her Amish Country Holiday Book Tour! 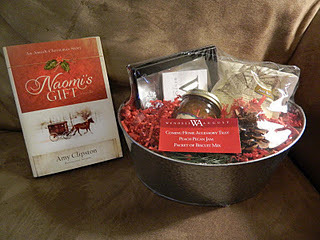 Here's a link to Amy Clipston's last contest before her Amish Country Holiday Book Tour! Melody Carlson's The Christmas Shoppe offers a charming visit to the small town of Parrish Springs. Matilda Honeycutt doesn't quite fit in with the other residents of Parrish Springs, and some are intent on running her and her unorthodox business out of town. Even those who initially give her the benefit of the doubt begin to question whether her store full of second-hand, thrift-shop merchandise belongs on the main street of town. What happens, though, when the doubters actually visit The Christmas Shoppe is pretty amazing and unexplainable. Something about the store begins to win over even Matilda's strongest opponents. This story contains elements of fantasy that qualify as Christmas "magic." It is a fun read that reminds you of things that matter -- memories that money can't buy. My one criticism is that the story sometimes moves too slowly and seems to get bogged down in detail. All in all, though, I would recommend it to be worth the few hours needed to read the story. Melody Carlson is the award-winning author of over two hundred books with sales of more than five million. She is the author of several Christmas books from Revell, including the bestselling The Christmas Bus, The Christmas Dog, and Christmas at Harrington’s, which is being considered for a TV movie. She is also the author of many teen books, including Just Another Girl, Anything but Normal, Double Take, and the Diary of a Teenage Girl series. Melody was nominated for a Romantic Times Career Achievement Award in the inspirational market for her books in 2010 and 2011. She and her husband live in central Oregon. For more information about Melody visit her website at www.melodycarlson.com. This book was provided free of charge by Revell for my honest review. 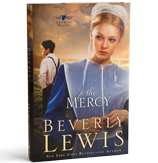 Beverly Lewis's The Mercy finishes up her Rose Trilogy -- and quite a finish it is! Hen is caring for Brandon after his accident, and she doesn't see any way to resolve the differences in the lifestyle Brandon enjoys and the return to Plain life that she longs for. And she fears that she may lose Mattie Sue once Brandon is recovered enough to return home. Rose wonders whether she will ever find real love or whether she will settle for a good life as an Amish wife in a relationship that is just comfortable. As hard as she tries, she can't forget about Nick and the special feelings they shared. The whole family is affected by their Maam's continued suffering as a result of her buggy accident years earlier. There may be hope for relief of her pain, but only if she is willing to go through a risky surgical procedure. Love, forgiveness, grace, and healing are themes woven throughout this heartwarming story from the "reigning queen of Amish fiction." As always, time spent with a Beverly Lewis story is good time. The Keeper is "a keeper"
Suzanne Woods Fisher has written another great Amish story -- The Keeper, the first book of her new Stoney Ridge Seasons series. Julia Lapp is heartbroken -- or is it angry -- when her fiance calls off their upcoming wedding -- again. And she is certain she knows who is to blame --The Bee Man! 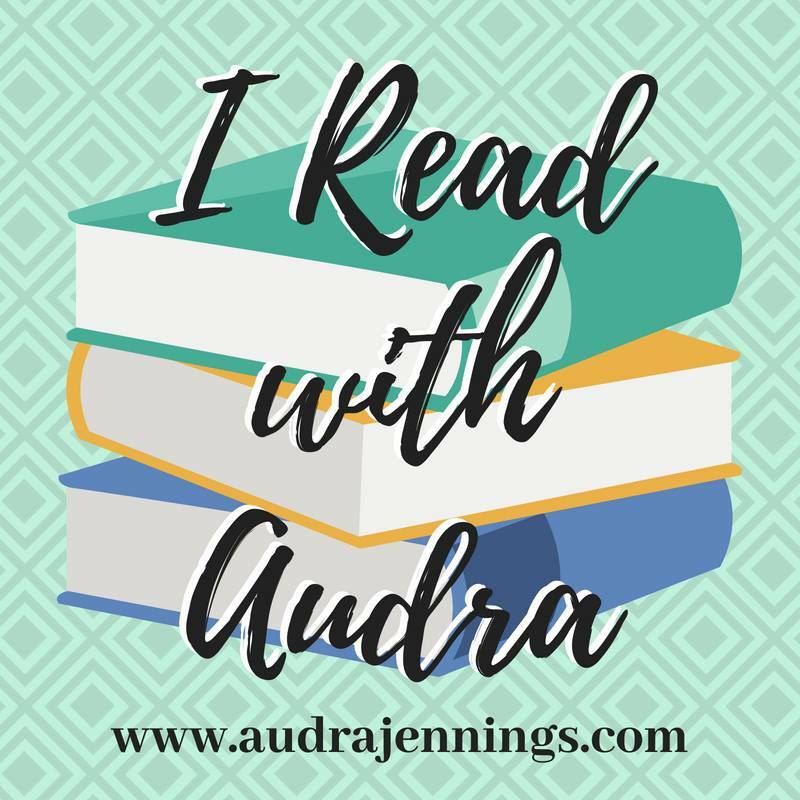 When Roman Troyer brings his bees back to the community and then ends up staying longer than usual, right on the Lapp property, Lydia has to deal with a confusing mixture of feelings. And to make matters worse, her father's failing health puts her in a position of responsibility for her younger siblings and the care of the family's Windmill Farm. Will she be able to trust in God's care to heal her hurting heart and carry her through tougher times than she ever imagined possible? This was another very enjoyable story by Suzanne Woods Fisher. At some times, I felt that the story seemed a little disjointed; certain scenes seemed to not fit together smoothly. Before the end of the book, though, the pieces fit together like a jigsaw puzzle. And I have to admit that the big developments toward the end caught me off-guard but presented a beautiful picture of God's perfect plan. Find out more by viewing this video trailer about The Keeper. The Keeper is due to be released by Revell in January 2012. I was lucky enough to win an advanced reader copy during a facebook author party. Check out Suzanne's facebook page or go here to enter a contest where you might win an advanced copy, as well as some other prizes. If you are interested in more information about the book, including a video trailer by the author, click here.